Building a beautiful, conversion-ready chiropractic website means not just churning out page after page of generic content and stock photography. You’ve probably heard the old adage, “A picture is worth a thousand words.” And in online marketing, it’s certainly no different. 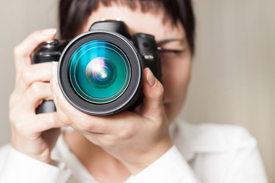 When it comes to your chiropractic website, the initial investment in professional photography is well worth it. Showcasing professional visuals of yourself, your team, and your office draws the attention of website visitors and increases the likelihood that they choose you as their chiropractor. With so many websites on the Internet today, people are quick to judge whether yours is worth hanging around on or not. If prospective patients are stumbling across your site and immediately hitting the back button, your online presence may need some tweaking. 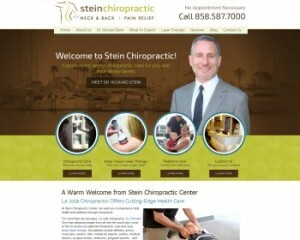 The imagery on your chiropractic website can significantly influence overall engagement. A stale, visually unappealing website will send visitors running for the door, so to speak. Having professional, high quality photos of you, your team, and your office is more likely to draw the attention of prospective chiropractic patients, while keeping them navigating throughout your website. As we’ve noted, to make an even better first impression, be sure to get a professional headshot of yourself posted on your site. This establishes trust with the reader. It relays the notion that you are indeed a real person, running a real chiropractic practice. Always showcase positive imagery. Happy, smiling people will evoke positive emotions in visitors who are navigating your site. Avoid showing a lot of photos of an empty office. We this the “neutron bomb” effect. After all, this isn’t a photo shoot for architectural digest! Prospective patients are looking for a chiropractic practice that is successful and full of happy patients. Don’t forget to have anyone who appears in your photographs sign a photo release form. Here’s a sample form. Ensure that your photos are optimized for the Internet. Nothing says amateur more than a 3 megabyte image that slowly reveals itself! You can use Photoshop or one of the many free tools online to optimize your images. People typically decide whether or not they like a website within seconds of viewing it. There is no shortage of research showing the psychological effects of trust when browsing online. And professional photos help to instill the confidence users need to take action. 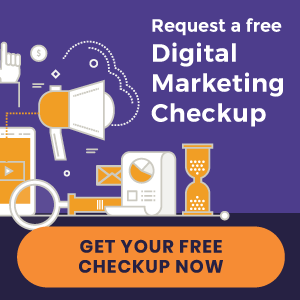 Once your chiropractic website is furnished with beautiful photography, you’ll want a digital marketing strategy that attracts qualified traffic. Get a free copy of our eBook, “10 Ways to Get New Patients from the Internet,” and see how to get your online marketing strategies started!